Name meaning: Ah Bui means “friend” in the local Murut language. History: Ah Bui came to the BSBCC on the 4thof May 2012. She is originally from Sook village, Keningau. She was kept by a person who intended to sell her for her gall bladder. 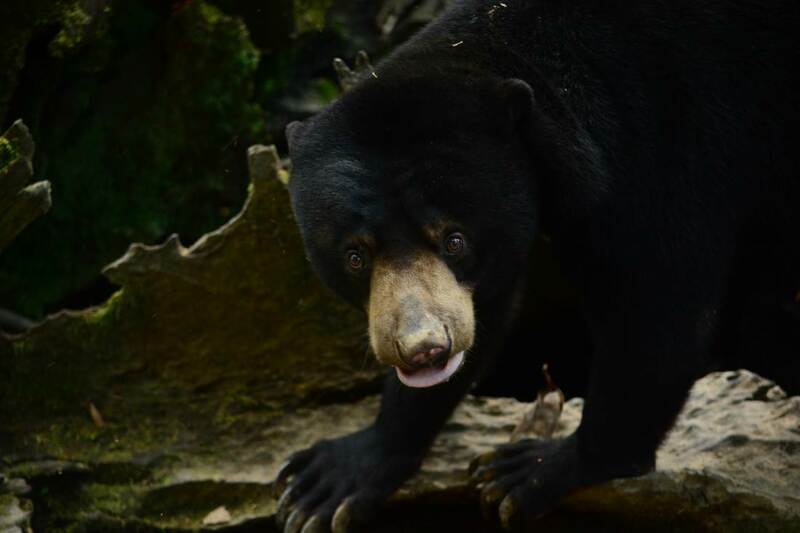 Overheard by the staff of the Sabah Wildlife Department, Ah Bui was rescued and sent to the BSBCC. Personality: An active and gentle female bear who is full of enthusiasm. Ah Bui spends most of her time just relaxing and enjoying the view from the forest canopy. Ah Bui is an expert climber and will show how well she can climb to the top! She marvels at all the tall trees. Sometimes she appears to be basking in the sun on a fallen decayed tree, absorbing the warmth of the sun’s rays and staring through the trees at the sky. She has also been found to build a tree nest in the tree canopy. She develops her independence further. She is developing well and showing great progress with her forest skills. We are thrilled that Ah Bui is also one of the release candidates! Identifying mark or trait: Distinctively grayish muzzle instead of light brownish. She also has a symmetrical chest mark which looks more like a necklace. She has a “sleepy” character which reflects her femininity. Ah Bui is available for MY BEAR adoption.